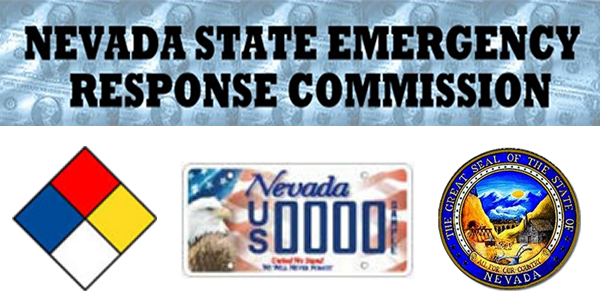 **IMPORTANT NOTE FOR IMMEDIATE ACTION** All correspondence to the State Emergency Response Commission is required to addressed to SERC@dps.state.nv.us. This includes all Grant Applications, Financial Documents and any general correspondence. The Nevada State Emergency Response Commission (SERC) was established in 1987 in compliance with the federal Emergency Planning and Community Right-to-Know Act (EPCRA) which is a stand-alone law passed as part of the Superfund Amendment and Reauthorization Act (SARA) and is found as SARA Title III. Currently the State Emergency Response Commission consists of eighteen members, appointed by the Governor, representing state and local government organization, private industry, and general public. The mission of the SERC is, "Protect the citizens of the State of Nevada against the negative effects of hazardous materials." The main functions of the SERC include: coordinate and supervise the activities of the Local Emergency Planning Committees (LEPCs); ensure each LEPC has an approved Hazardous Materials Emergency Response Plan; collect chemical inventory reports from Nevada facilities; provide funds through grants, and process requests from the public for information.